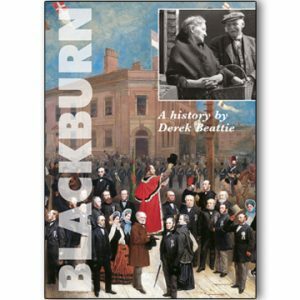 This well written account reveals how three families – the Mannocks, Prockters and Holdens – harnessed the resources of coal, water and workforce in Oldham, Lancashire and worked together to build a cotton fortune. 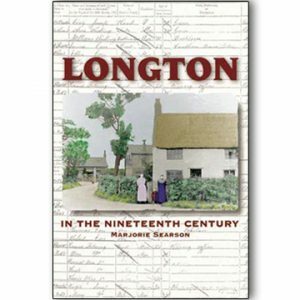 At the height of the cotton boom, Lancashire had everything going for it. Ample supplies of coal and copious amounts of water from nearby hills were available to power the huge mill engines. High rainfall created exactly the kind of damp atmosphere that was essential for spinning, and an influx of people from rural areas ensured there was a ready workforce. This well written account reveals how three families – the Mannocks, Prockters and Holdens – harnessed these resources in Oldham, Lancashire, and worked together to build a cotton fortune. Using a unique archive of letters found in the attic of a Holden descendent, William Hartley tells the behind-the-scenes story of how the families combined their financial and personal interests – including marriages into the important Stott and Gartside families – to create businesses that succeeded, and which survived longer than many which faltered as the cotton industry went into decline. This revealing account, with its many interesting illustrations, will appeal to anyone interested in the history of the Lancashire cotton industry and the wealth of its families. At the height of the cotton boom, Lancashire had everything going for it. High rainfall created exactly the kind of damp atmosphere that was essential for spinning, and an influx of people from rural areas ensured there was a ready workforce. 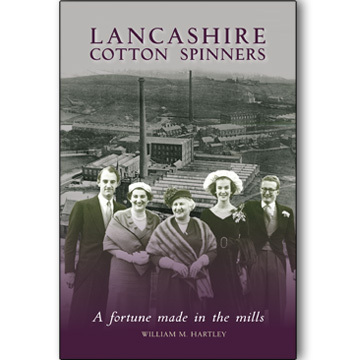 The book Lancashire Cotton Spinners: A Fortune Made In The Mills tells how three families – the Mannocks, Prockters and Holdens – harnessed these resources in one part of the county and worked together to build a cotton fortune. Using a unique archive of letters found in the attic of a Holden descendent, author and family historian William Mellodew Hartley tells the behind-the-scenes story of how the families combined their financial and personal interests – including marriages into the important Stott and Gartside families – to create businesses that succeeded, and which survived longer than many which faltered as the cotton industry went into decline. 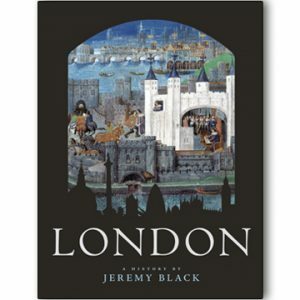 Lancashire Cotton Spinners offers revealing insights into how brave decisions, strong characters, creative manoeuvring and pragmatism can combine to allow an enterprise to generate huge wealth and power. Mr Hartley, who was born in Oldham, is a descendant of the famous Mellodews from Moorside, a family which manufactured velvet in the area. Although the mills are now demolished, the legacy of the Mellodew family can still be seen in Moorside today.